ROAD TOWN, Tortola, VI - Two men have been charged in relation to a stabbing incident of a Dominican Republic national residing on Anegada. Kenny Francis, 35, a resident of Anegada, and Kasem Benti, 34, of Long Bay, West End, were charged with aggravated burglary and will likely face additional charges in relation to this incident. Preliminary inquiries indicate that both men entered the victim’s apartment on Anegada through a window during the early hours of Saturday morning. On exiting the premises, the assailant inflicted a stab wound to the lower abdomen of the victim while he was asleep. 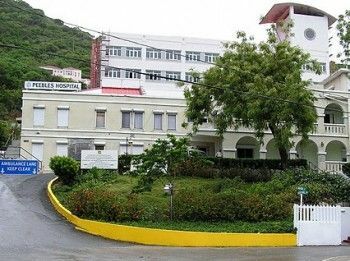 The victim was first treated at the Anegada Clinic and then transported to Peebles Hospital. He has since been released from the hospital.